Betfair Tennis Trading Strategies. Low risk Tennis Trading System. Just 2 years after discovering Betfair Trading I was trading full-time! I will show you how to make a part time second income. Just one payment of £39 for lifetime access. Hi, I'm Paul Shires. I found Betfair trading in 2008 and quickly came up with ways to make money on the tennis markets. I learned quickly despite having to use trial and error and in June 2010 I quit my job and began trading full-time. I have 30 years of experience of training and coaching others and can tweak the training course to suit you. Keep me up to date with how your progress is going and I can dramatically speed up your learning process. I will teach you what I have learned since 2008. You will be able to consistently take profit from the tennis markets on Betfair. I have been helping people to make money with PROVEN trading strategies since 2009. 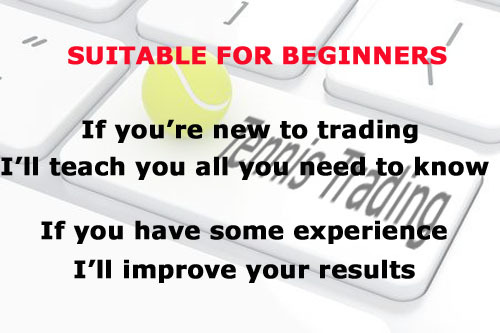 My popular Betfair Tennis Trading Guide is perfect for beginners but the support you will receive will be useful to even experienced traders. I will take your tennis trading to the next level. 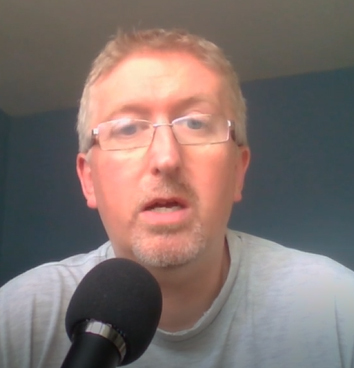 You will be able to contact me personally and keep me up to date with your progress, allowing me to dramatically speed up your learning process. This isn't a get rich quick system. It takes practice to become consistent at anything in life. I will be with you every step of the way and offer lifetime support with your one time payment. You also get lifetime FREE updates of the Betfair Trading Guide. The purpose of the Betfair Trading Guide is to help you to learn how the markets move. The best way I have found to do this is to break trading down into simple trading strategies. By using these strategies you wil become familiar with the tennis markets and will be able to match your trading plan to the match situation. There are also beginner strategies that are designed to get new traders involved in the markets. I also include my favourite trading strategy that I use EVERY day. Everyone is different! For most people Betfair trading is unlike anything you have seen before so it can take a little while to get your head round it. When I was learning no one wanted to help so it was all learned by trial and error. Trading gets easier as you get to know the players and the way they behave and react to certain match situations. I provide you with some info on the top 100 ATP and top 100 WTA players to get your knowledge started. I update them each December. I also have a daily Trading Tips email service. I give you information, stats and advice on all the day's matches. If you buy the Betfair Tennis Trading Guide today you get these emails FREE for 10 days. You found my page because you are looking to make some extra money. If you keep doing what you're doing now you will be in the same position in a year. It's time to make the change in your life to make that extra cash a reality. Get the Betfair Tennis Trading Guide TODAY! I have a BUNDLE OFFER of the Trading Guide plus 2 months of my Trading Tips emails for £49 which is a saving of £30. You can select this offer below. ONE TIME payment. NO MONTHLY SUBSCRIPTION. Please note that after purchase you will be sent to a "Thankyou" page and you will be asked to register a username on my blog at www.blog.tradesharktennis.com. I can not give you access to the members area and the Trading Guide until you email me your username. Trading tennis is about common sense and hard work. I work with you for as long as you need to develop your trading. There is also a Skype chatroom which many people find useful as we have a good mix of new guys (and a few new gals!) and experienced traders. It is a very friendly group who all try to help each other with tips and ideas. FAQ - WHY CHOOSE TENNIS FOR TRADING? 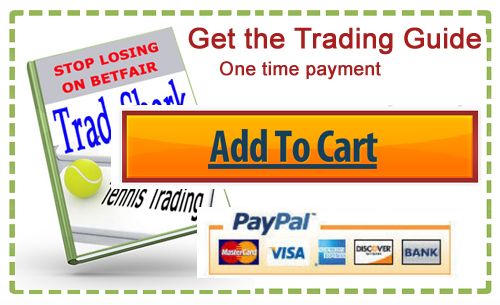 - TESTIMONIALS - WHAT IS BETFAIR TENNIS TRADING?